but something inside stops me, so instead I stand and stare. but you see I’m not like other kids, I have a cross i bare. and its hard for me to understand why I have to miss her so. i really do like being with you, but you see, your a Mummy too! was not formed the usual way. And baked with all our might. Of how we did become. Its not the feeling of being alone or lost. Its the feeling that your not alone. To feel supported is everything. 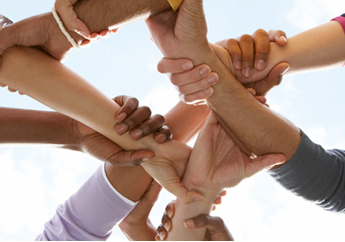 Without support its estimated that one in five adoptions breakdown. 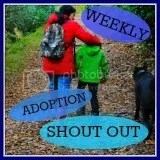 I’ve linked up with the Weekly Adoption Shoutout (#WASO) over at The Adoption Social. This week their theme is ‘Support’. I read something beautifully written about something terribly sad today, I’d like to share it with you. My Birthday Poem, take 2! Today is my birthday. My little sister sent me a beautiful poem today, it touched my heart but I found out later it had been written by someone else. So after attempting to pass off someone else’s poem as her own I challenged my little sister to write me a poem for my birthday, no cheating this time. I gave her 2 hours and in under 15 minutes she produced the following! You would be my light. When we are both together. Beautiful, and actually better than the one she tried to pass off as her own, the little monkey! You have so many questions, for such a little girl. Such complex thoughts and feelings, your mind must be a whirl. “Why couldn’t my first Mummy keep me?” You ask with innocence. But I don’t understand myself, it doesn’t make much sense. What demons were within her? Why couldn’t she see the pain? Is one of fear and shame. She couldn’t stop the game. Perhaps she’s not to blame. Is safe and loved, and grows. But you just can’t let it go. Oh …….., if I could, I’d take away your pain. You’ll make it through the rain. That you are ours to love.